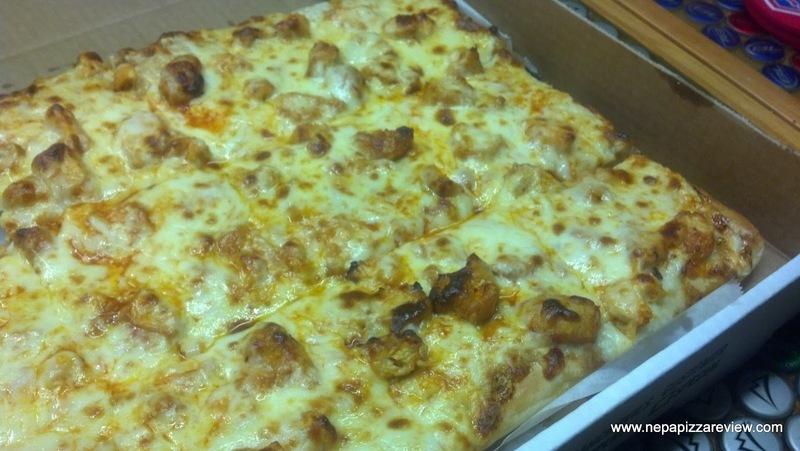 Since the inception of my pizza blog, I've had a buddy consistently telling me that I need to try the Hot Wing pizza from the Hotel Almont in Nicholson. I've been to the Almont several times, and I must say the food is fantastic at this place, but I never really thought about it offering pizza so my curiosity has been growing over what this pizza might be like. Fortunately for me, my buddy forced me to stop beating around the bush by bringing a fresh hot wing pie to my house during the big PSU vs OSU game this weekend. This will be a quick review, because there were a lot of hungry football fans chowing down on this pizza alongside me. 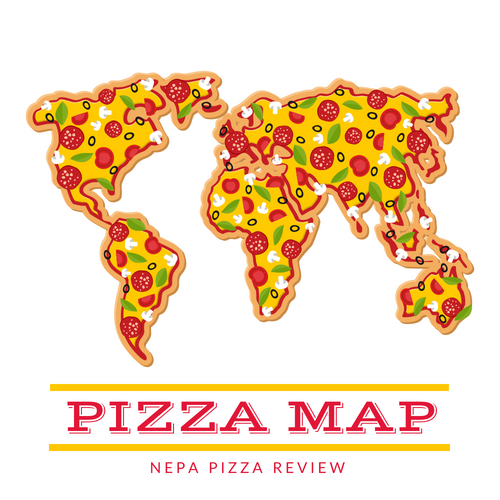 I only had one slice, but it was enough to impress this pizza critic. The crust was impressively thick, fluffy, and soft. If the Almont makes this crust in-house, they have to press together 2 pieces of dough for this sky-high creation. Usually a crust that thick is too filling or monotonous to eat, but that was not the case here, it was delicious and satisfying - truly a crust I would be proud to serve my own pizza on. Next up we got into a bit of a hot wing pizza debate: do you put bleu cheese on a hot wing pizza, or should it be a side to dip your slice in? I'm on the side of putting the BC right on the pie, and the Almont does just that with the perfect amount of high quality bleu cheese. The hot sauce was more subtle and didn't overpower the pizza, which was nice because some hot wing pies are too spicy or too saucy, this was just right. Next up, the chicken. 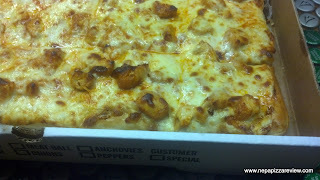 There were generous chunks of grilled chicken on top of the pizza which were savory and cooked to perfection. 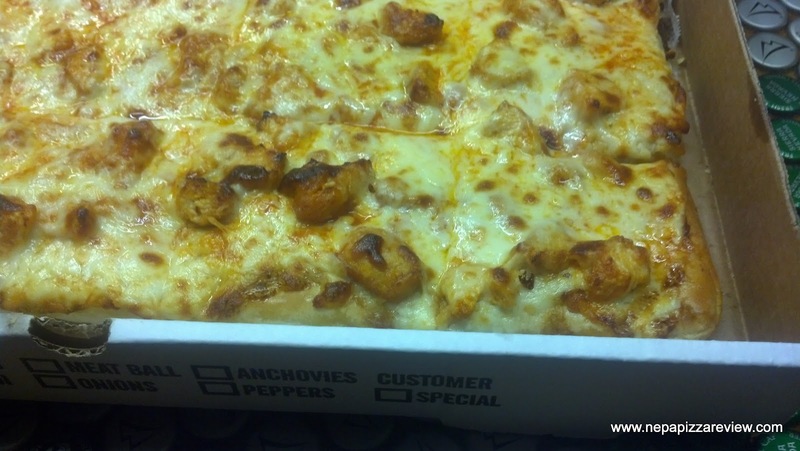 This whole pizza was tied together neatly with a light and creamy blend of cheese. The cheese brought together this well balanced symphony of flavors. Since I'm writing this review more than 24 hours later from memory, I don't recall what kinds of cheeses I detected, but trust me, it's delicious. Needless to say, I'm glad that my buddy put me to the test and he is now 2 for 2 on pizza recommendations (see Victory Pig). 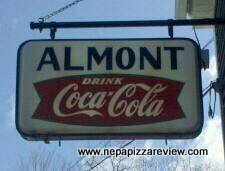 I encourage you to try out the Hotel Almont soon, and be sure to tell them you heard about it here on the NEPApizzareview!